We think you will appreciate the warm and friendly manner in which we treat patients. Our commitment is to apply our dental knowledge and skills in a caring and gentle way so you can feel at ease as we help you attain the smile you desire. Through excellent preventive, restorative, and cosmetic dentistry – PLUS technologies that make dental visits more pleasant than before – we work with you to achieve a smile that can maximize your personal health and appearance as well as raise your self-esteem. We’re also a kid-friendly office, and we want you to know that we enjoy patients of all ages! Dr. James S. Kim received his Bachelor of Science degree from Loyola University of Chicago and his DDS from the prestigious University of Illinois College of Dentistry, also in Chicago. He has maintained a private practice in Wausau with an emphasis in family, cosmetic, implant, and sedation dentistry since 2000. 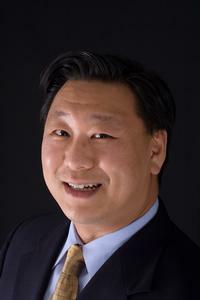 Dr. Kim is committed to staying current in the dental field, attending 150-200 hours of continuing education per year. Additionally, he has trained with some of the best clinicians in the world such as Dr. Frank Spear at The Seattle Institute for Advanced Dental Education, Dr. Carl Misch at The Misch International Implant Institute, and Dr. Harry Green at Mid-Continent Orthodontics (Tip-Edge Orthodontics). His extensive post-graduate education allows Dr. Kim the knowledge and skills to provide his patients with the best treatment possible, utilizing the microscope, digital X-rays, and laser technology to achieve a beautiful smile. In addition, Dr. Kim feels that his office offers a special service by providing sedation dentistry. This unique service allows Dr. Kim to treat his patients in a relaxed environment so that even a lengthy appointment that would have once been stressful can become a pleasant and comfortable experience. In his spare time, Dr. Kim enjoys photography, cooking, and mostly spending quality time with his wife and his 11-year-old daughter.